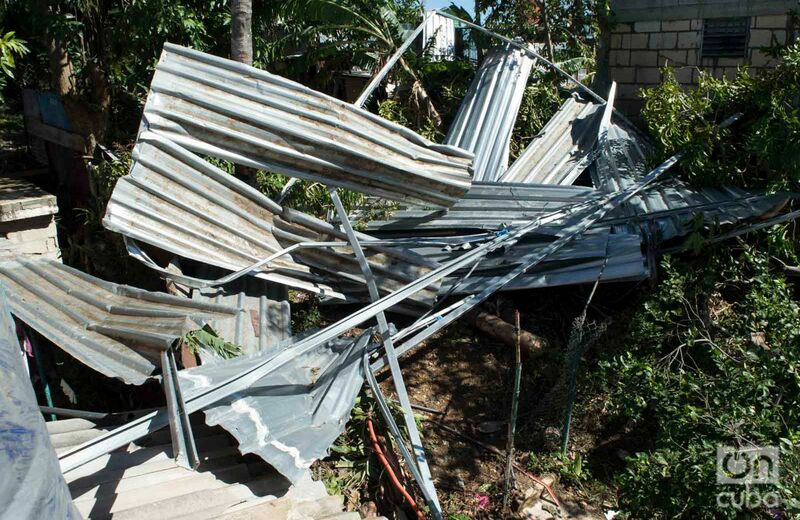 Danaisy and David lived the horror of the tornado in Guanabacoa. These are their stories and inevitabilities. 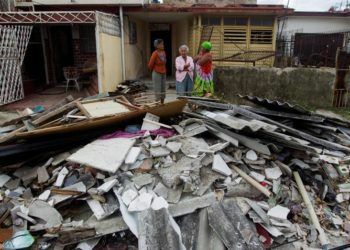 Danaisy Alfonso at her home in Guanabacoa, seriously damaged by the tornado from last January 27, 2019. Photo: Otmaro Rodríguez. 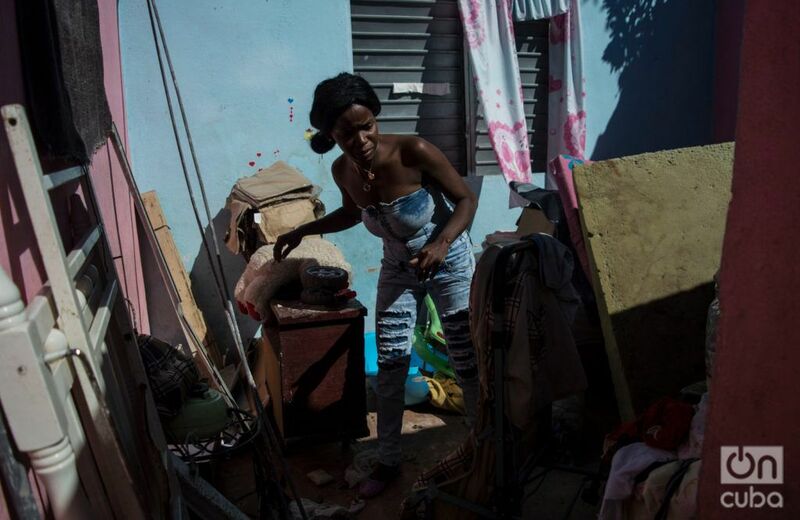 “I have to get out of here, I have nothing left,” says Danaisy Alfonso as she picks up the clothes scattered among the ruins of what was once her home. She does so restlessly, compulsively, keeping an eye on her three-year-old daughter Emilenys. The girl barely leaves her side. At times she tries to play with a broken toy, but she immediately returns to her mother’s side. Her eyes show her fear. Her face and back bear the marks of what she experienced last Sunday with the tornado. 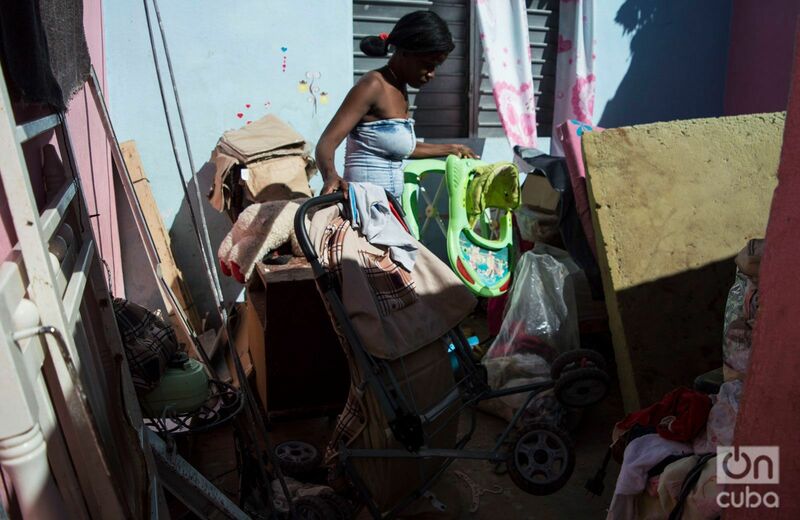 Since that night her 10-month-old sister has been hospitalized in the Pediatric Hospital of Centro Habana. 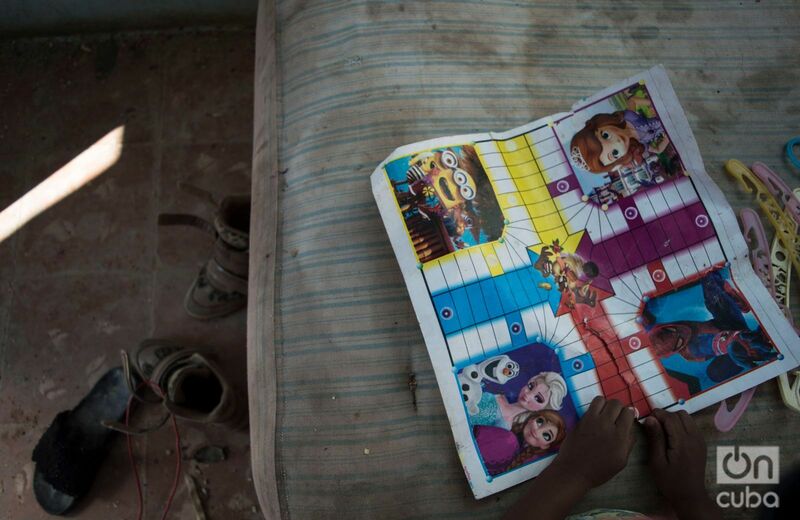 Her older sister, seven years old, was also hit by the wall that came down. “I don’t even want to remember…,” says Danaisy. 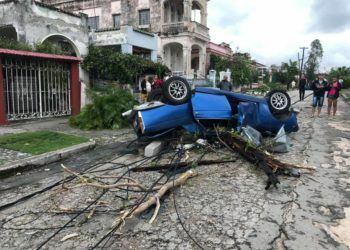 The mother was putting her daughters to bed when the wind ripped out an avocado tree in front of her house, in Villa Primera, Guanabacoa, and threw it against the wall of her room. The frayed roof fell in the yard. 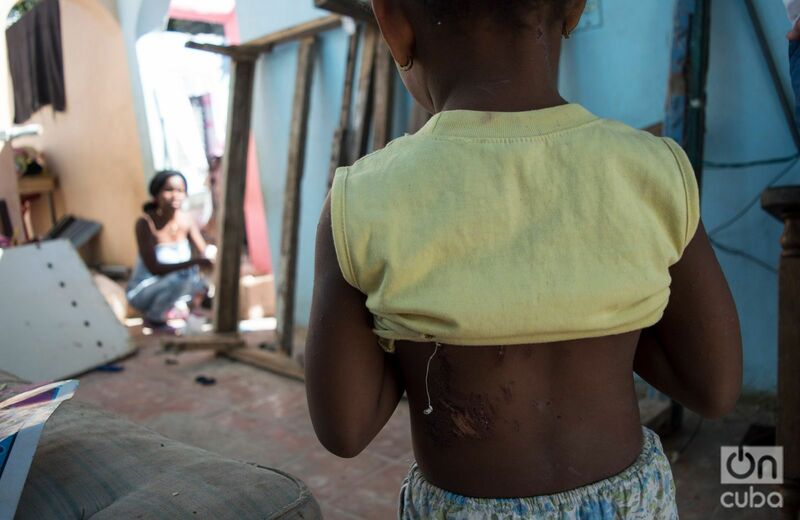 Three-year-old Emilenys shows the scars on her back, as her mother looks on. Photo: Otmaro Rodríguez. In the middle of the rain and darkness, she managed to get to a neighbor’s house. 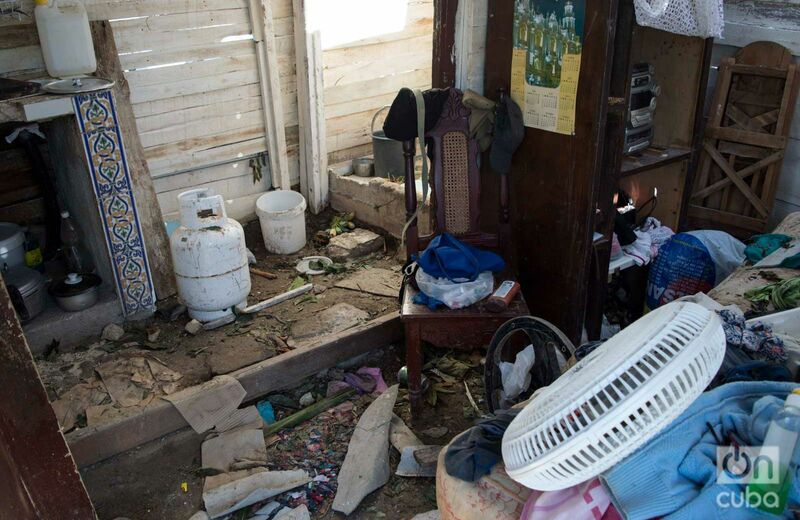 The tornado had already passed, but her anxiety was increasingly greater. Danaisy spent the early morning hours in the hospital. Distressed. Aching. 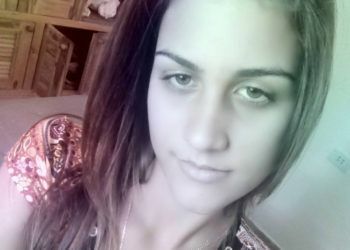 Without sleeping. Fortunately, she was able to locate the father of her youngest daughter so that he could take over while she returned home, to discover the size of the disaster. Danaisy is a single mother, unemployed. 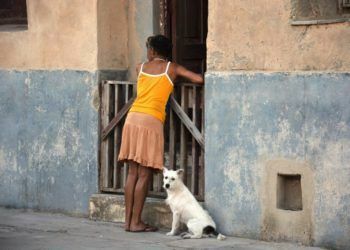 Because of her situation she receives social assistance. 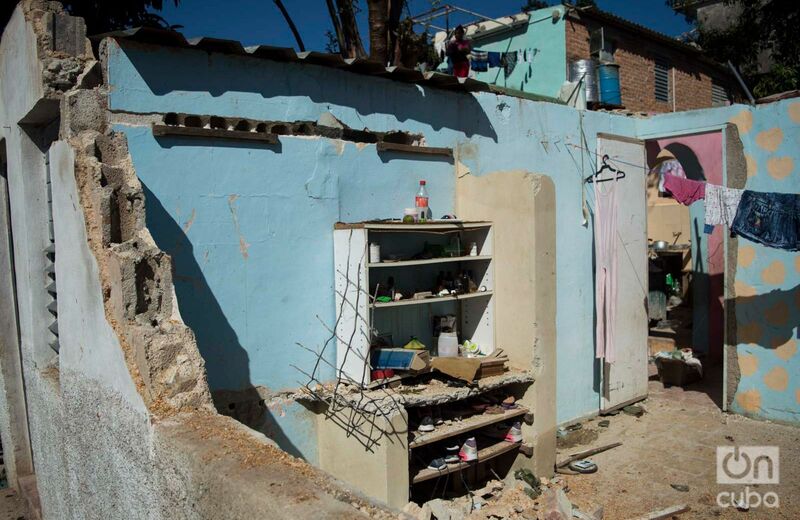 Her house, now destroyed, was built by the government. She tells me specialists from Physical Planning passed by her house to see the damages. However, she can’t wait. Because of her daughters. 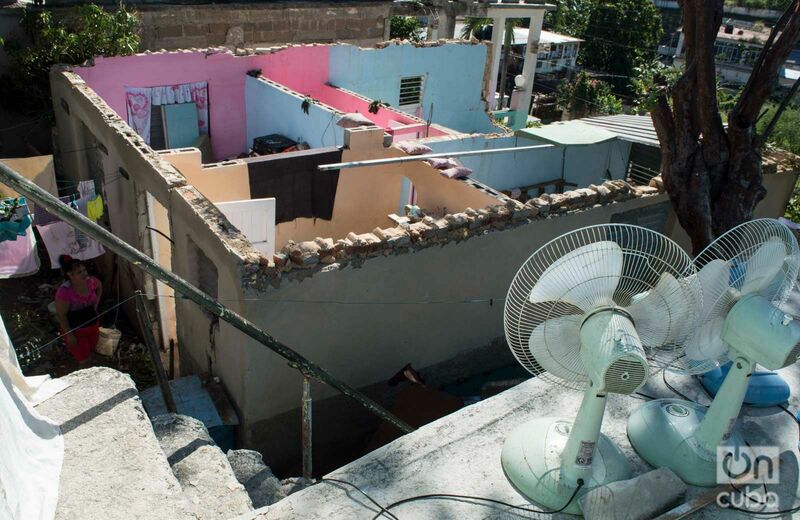 View of Danaisy Alfonso’s house, in Guanabacoa, Havana, seriously damaged by the tornado from last January 27, 2019. Photo: Otmaro Rodríguez. 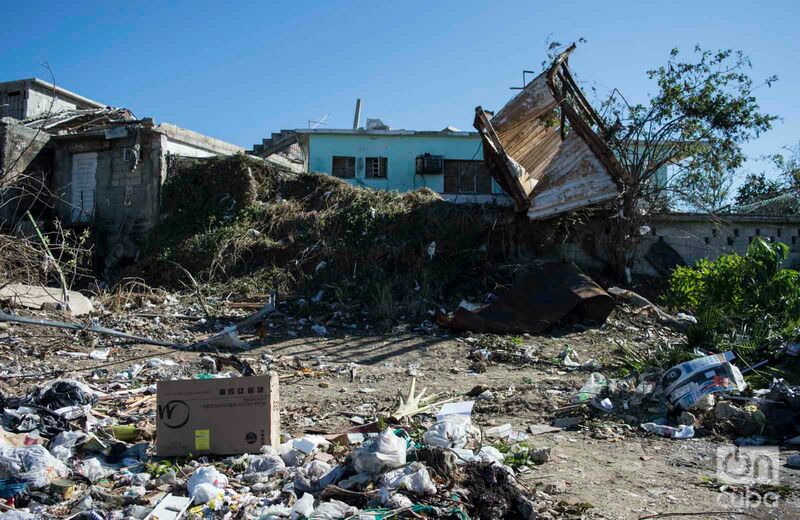 A hundred meters from where Danaisy, in the Chibás district of Guanabacoa, the remains of a container are embedded in a wall. 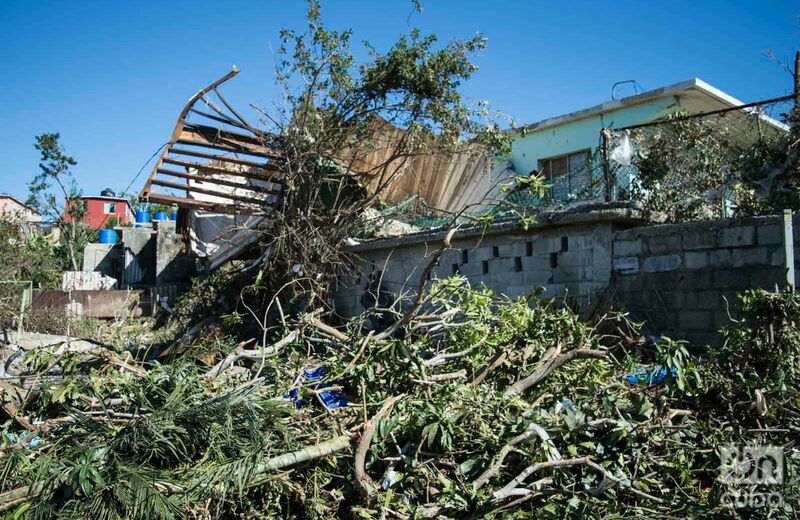 Around it, garbage, branches, cables and torn roof tiles pile up. 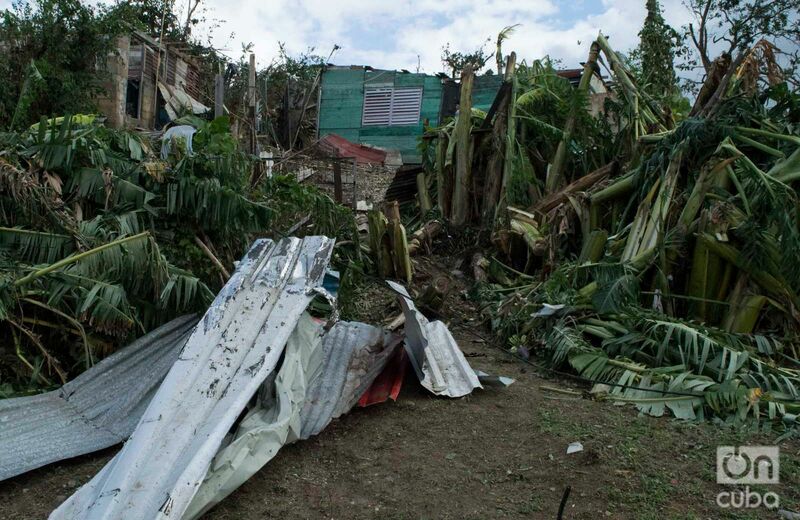 “All that fell with the tornado,” David Fuentes, a 42-year-old mason, told OnCuba from the entrance of his home. 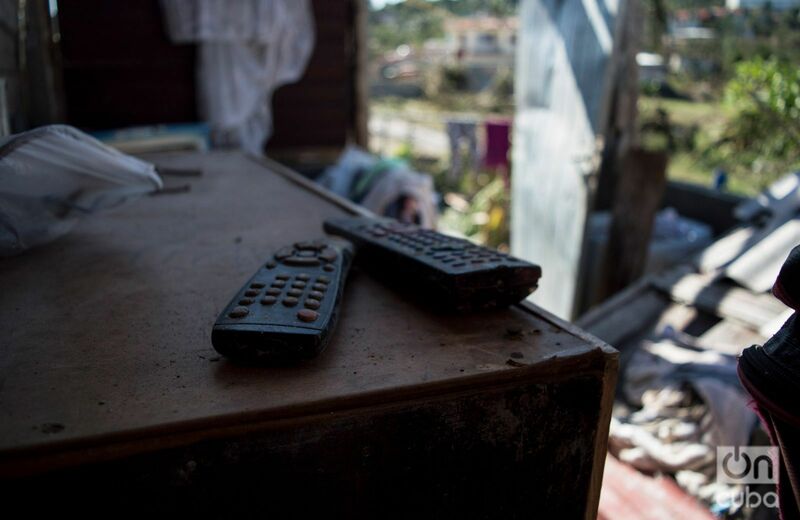 His house, at the top of a hill, is now a group of roofless walls, with broken windows and a thousand things scattered on the floor and on top of the furniture that is still standing. “That creature was very ugly; you had to be here to see it,” he says about the whirlwind. 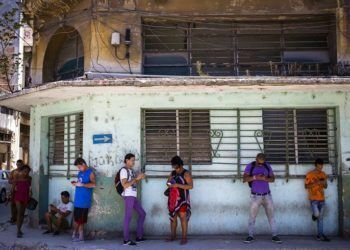 “It lifted the container down there,” he says and points in the direction of the slope, towards the Vanguardia Socialista state enterprise, which in the distance looks like a jumble of bare beams, barely without roof tiles to hold up. 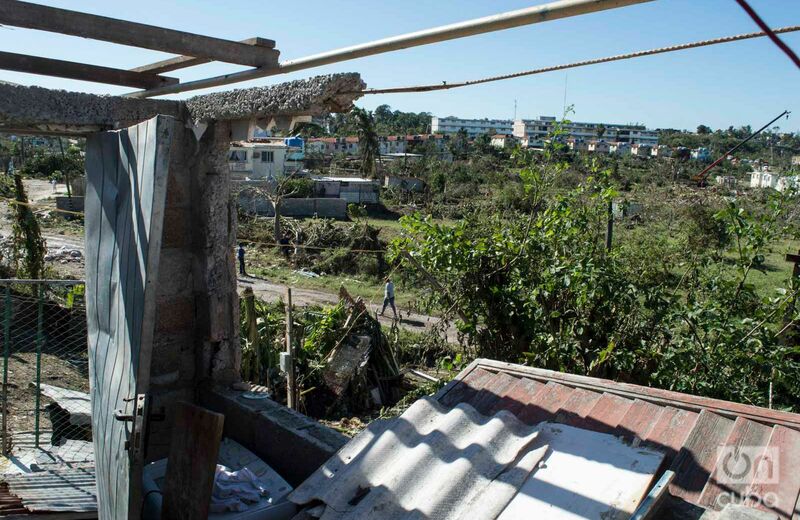 Remains of a container (above) embedded in a wall of the Chibás district, in Guanabacoa, by the tornado from last January 27, 2019. Photo: Otmaro Rodríguez. 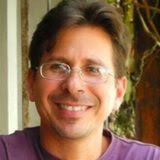 David’s experience is similar to many others told these days in Havana, and at the same time different, singularly terrifying. A mixture of amazement and fear that refuses to leave his face and emerges every time he tells the story. “I was lying on the bed when I started to hear a sound like transformers about to burst. I stood at the entrance to the portal, which is no longer there because the tornado destroyed it, and I see some lights in the sky. At first I thought it was an electric explosion in [the neighboring municipality] Regla, but then I saw that the tornado was approaching and was heading toward us. “I told my wife ‘throw yourself on the floor,’ and I also threw myself with her, under the window of the room. Immediately the wind ripped the window and threw it on top of the bed, and went into the house. It destroyed everything: it took the roof tiles, it knocked down the furniture, it ruined everything. 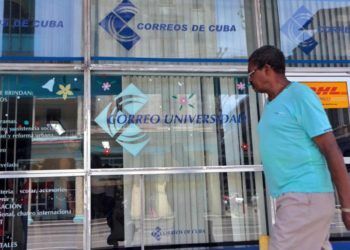 Like thousands of Havana residents, that terrible night shocked him. 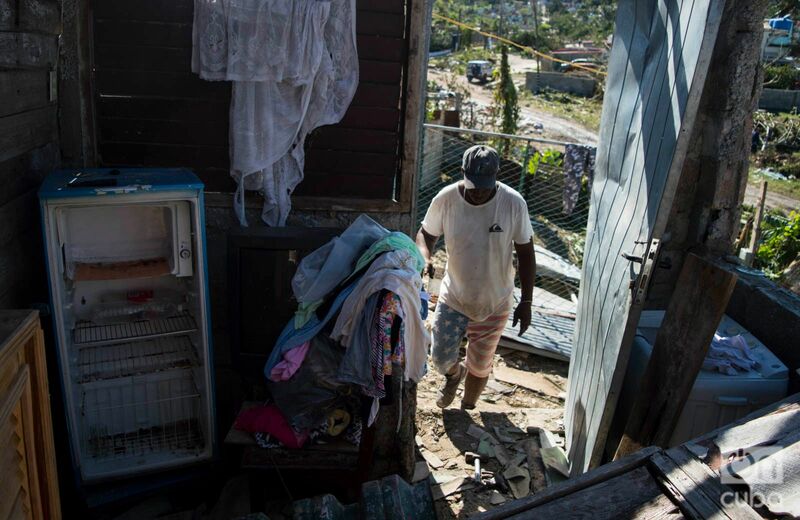 David Fuentes enters his home in Guanabacoa, seriously damaged by the tornado from last January 27, 2019. Photo: Otmaro Rodríguez. 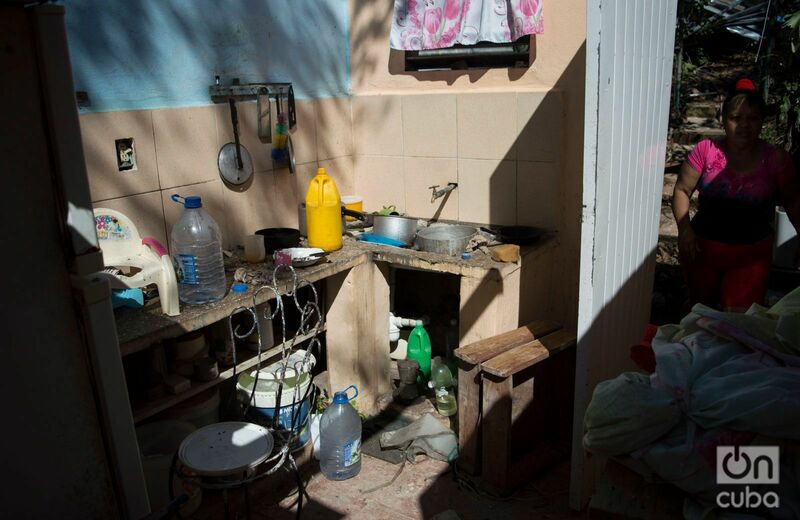 Two days later, David is still there, in the narrow home where he has been living for about three years. 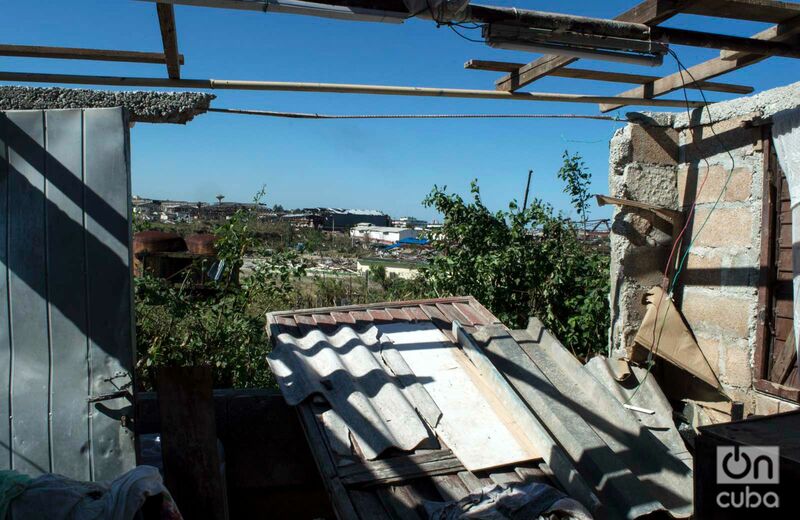 He wears a dirty T-shirt and faded shorts “to work on the house”: opening a space among so many broken things ̶ physical and spiritual ̶ to move on. 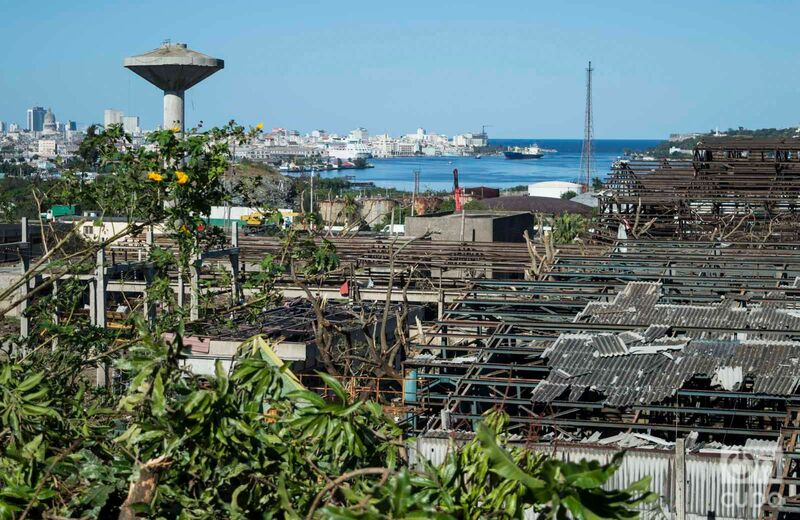 Physical Planning specialists and government officials have already visited him to know his situation, and now he expects materials will be assigned to him to begin rebuilding his home. Living in a shelter is not an option for him.